Now Available: Hardship Licenses for Delinquent Taxpayers! 11/22/16 UPDATE for Louisiana Hardship License: Per recent news reports, the Louisiana Department of Motor Vehicles plans to reverse it's "no cash" policy on most transactions effective as soon as December 1st. Once effective, cash can again be used for driver's licenses, vehicle registrations, and titles but NOT for reinstatement fees. As the DMV works through this change, we recommend bringing check/money order until it's clear as to whether this Hardship License constitutes a "reinstatement" or not. I have some great news if you missed your 60-day deadline for appealing the denial of their solar tax panel credit by the Louisiana Department of Revenue -- you may have a second chance to contest the denial!!!! Through September 30th we have saved our clients $8,533,890 . . . and given each of them a "fresh start"! In the aftermath of “The Great Flood of 2016”, we at Bryson Law Firm, LLC have been busy both inside and outside the office doing what we can to help our clients- our employees- our friends- our community- rebuild in the midst of such LOSS. Ever-looking at things from a tax perspective, people who’ve suffered such a LOSS should keep in mind that much of those losses can be tax deductible. For years Louisiana has offered tax credits to residents who purchased solar panels for their homes. However, in mid-2015 the Louisiana legislature and the Louisiana Department of Revenue (LDR) determined that there was not enough money in the budget to fund the solar tax credits. So, the legislature decided to place a funding "cap" on the total amount of credits that the state will honor each year between now and 2017. The "cap" has resulted in the denial or deferment of payment of the solar tax credits to thousands of Louisiana taxpayers who are now left confused, frustrated . . . and frankly down right angry! WASHINGTON —The Internal Revenue Service today announced that 401(k)s and similar employer-sponsored retirement plans can make loans and hardship distributions to Louisiana flood victims and members of their families. Are my FEMA grant payments taxable? Now that the waters are receding and we are all trying to get back to normal, we thought that we would start addressing some of the many legal questions surrounding the flooding disaster of 2016. Of course, we will focus on “tax” questions because that’s what we do! On August 11, 2016, the Federal Emergency Management Agency (FEMA) declared that federal disaster aid has been made available to the State of Louisiana in order to supplement the local efforts in the area affected by severe storms and flooding. 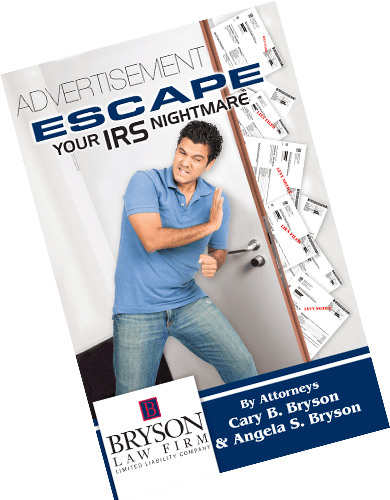 Through July 31st we have saved our clients $6,806,737 in IRS and LDR payments. Tuesday, May 31st we are moving our Baton Rouge office to 8888 Jefferson Highway. This new location at the corner of Jefferson Hwy. and Drusilla Lane has easy access from I-12, offers plenty of free parking, and is more centrally located to assist our Baton Rouge clients.